In exchange for funding, Evasi0n agreed to bundle Taig's app service for Chinese users as an alternative to Cydia. However, a report by Chris Ziegler of The Verge noted that Taig "threatened the legitimacy of the entire [Evasi0n] operation after pirated App Store apps were found in its catalog." 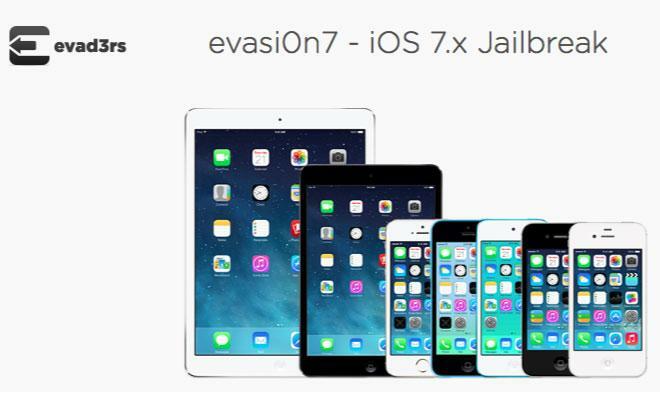 In an online statement to the "jailbreak community," Evasi0n wrote: "In the course of developing the iOS 7 jailbreak, we were approached by the company with an offer of partnership in offering Taig bundled with the jailbreak in China." The group added, "Preventing piracy is also extremely important to us. We are deeply sorry and embarrassed about the piracy that was seen today. All of us have spoken out vehemently against piracy in the past. We don't believe its right for developers to not get paid for their work. "We are very upset that despite our agreement and review by their team, piracy was found in the store. It was not acceptable and they have been strenuously working to resolve the problem in good faith, and have removed all instances of it that we have brought to their attention." Evasi0n first said it was working with Taig to get the pirated apps removed, noting that "Taig will be pulled from the jailbreak if it cannot be resolved." However, the controversy surrounding Taig's unmanageable listings of pirated apps prompted Evasi0n to announce it would remove the Taig store. The group has since determined that "the depth of the transgression against the software developers and the jailbreak community cannot be overlooked and we could not move forward after that even if it were fixed." Evasi0n described the rollout of the iOS 7 jailbreak as "extremely stressful" and the group said it needed "time to recover" before addressing remaining issues with the jailbreak package. Jailbreak attempts are a cat and mouse game between hackers and Apple, with jailbreakers seeking to find new security vulnerabilities they can exploit while Apple seeks to close any holes that could be used to bypass iOS app security. Ostensibly, iOS jailbreaks are intended to allow users to tweak and customize their iOS devices, although in reality one of the primary functions of jailbreaking devices is to enable users to obtain and install developers' App Store titles without paying anything. After jailbreaking, an iOS device stops enforcing app signatures, effectively giving it the security profile and stability of an unlocked Android phone, and making it roughly as attractive to third party commercial developers.